Physical, lucky for some and unfortunately for others, it is everywhere in our lives. A clear example is the image which can be calm because the sun does not happen anything strange. The shape of the sun is due to the Earth’s atmosphere, although it seems all the same, is composed of different layers with different composition. Come on, in the background are some other gases up to different pressure (and therefore density). When these layers are hot, light that pierces undergoes refraction (as we all know the water). 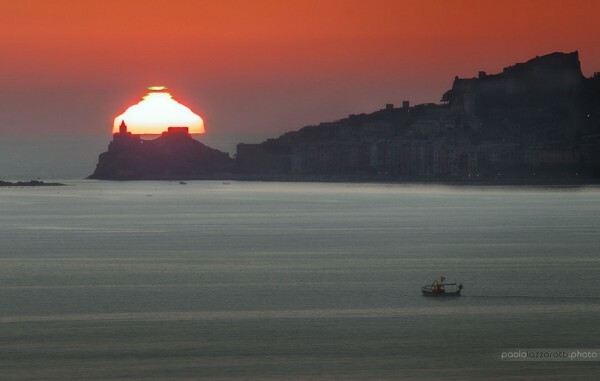 Normally this effect is more or better visible at dawn and dusk, mainly because the sun’s rays fall parallel to the observer and refraction makes it more easily visible. 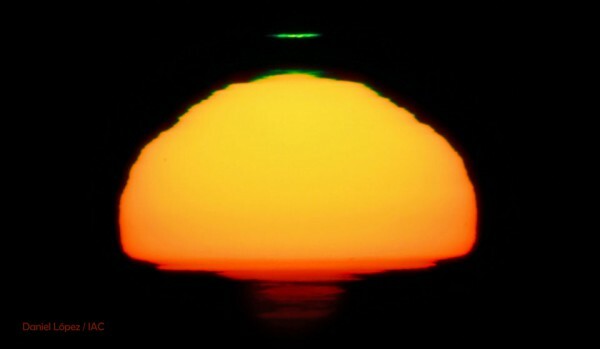 In addition, if you observe, the top of the Sun is green due to the difference in composition of the different layers and, above all, to the refraction of the atmosphere (as to why the bottom is redder). Funny thing, though I do not believe it is that the sun is such that they think it is not where you see.